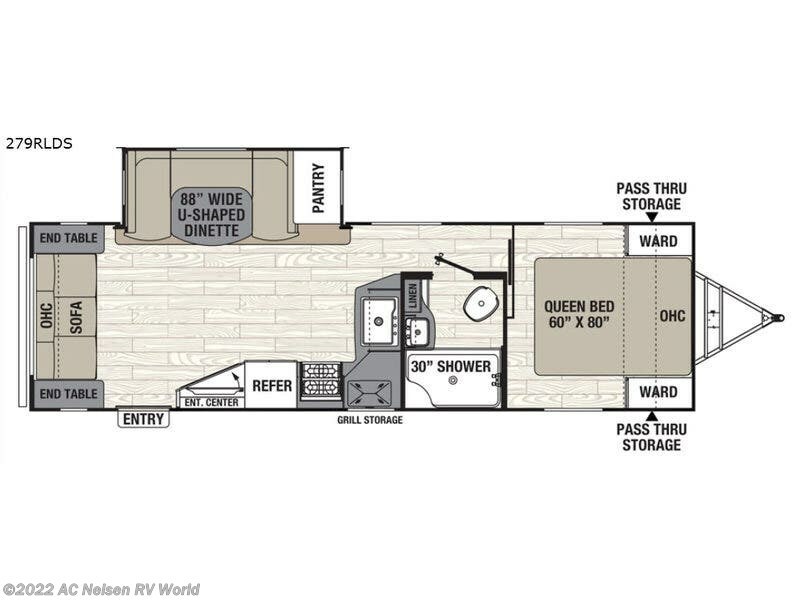 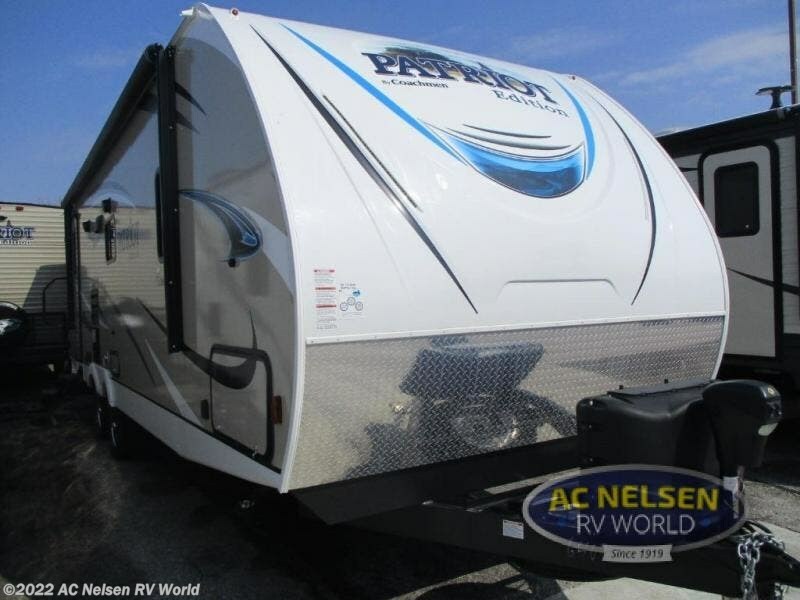 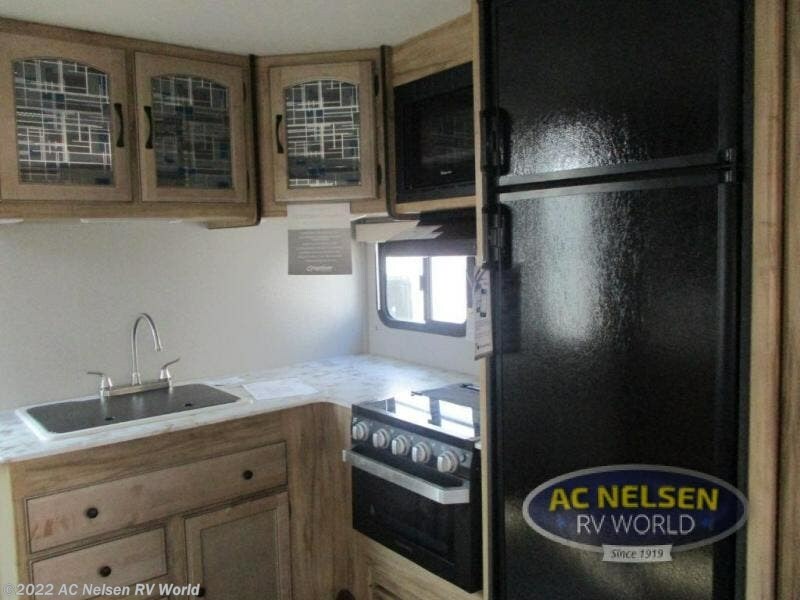 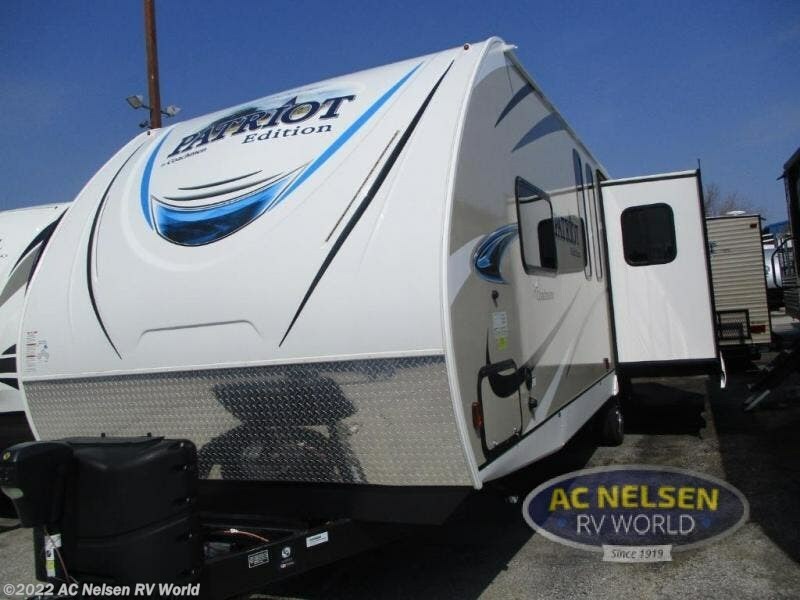 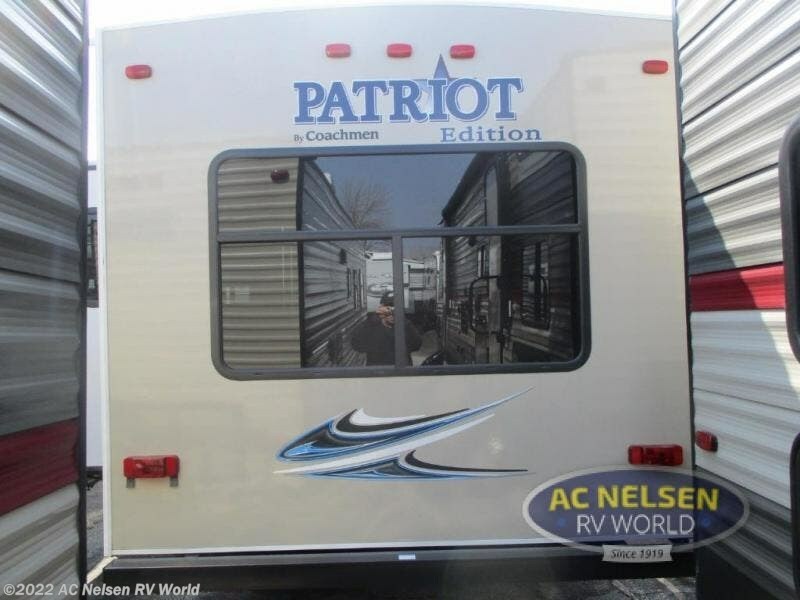 This Freedom Express Ultra Lite 279RLDS is perfect for a couple who enjoys having overnight guests everyone once in a while. 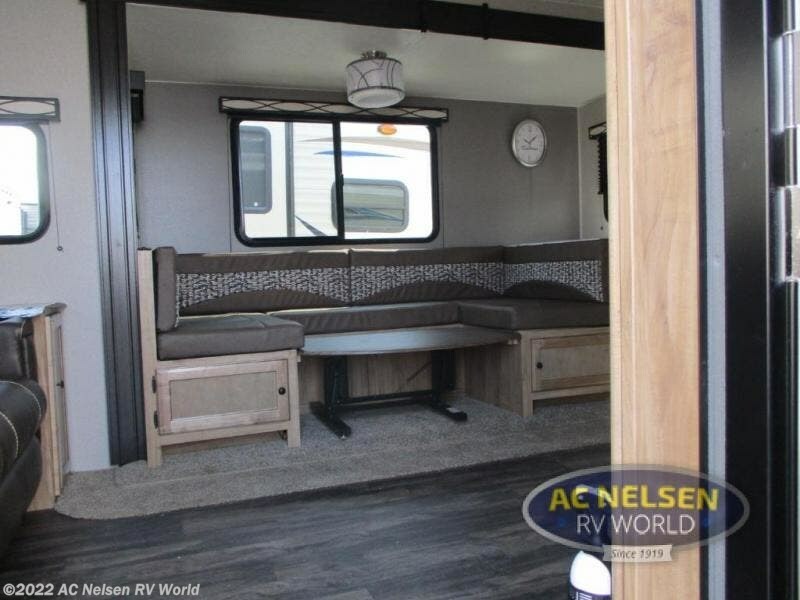 You will have your own private bedroom while the guests can sleep on the rear sofa or u-shaped dinette with removable resin outdoor table for dining. 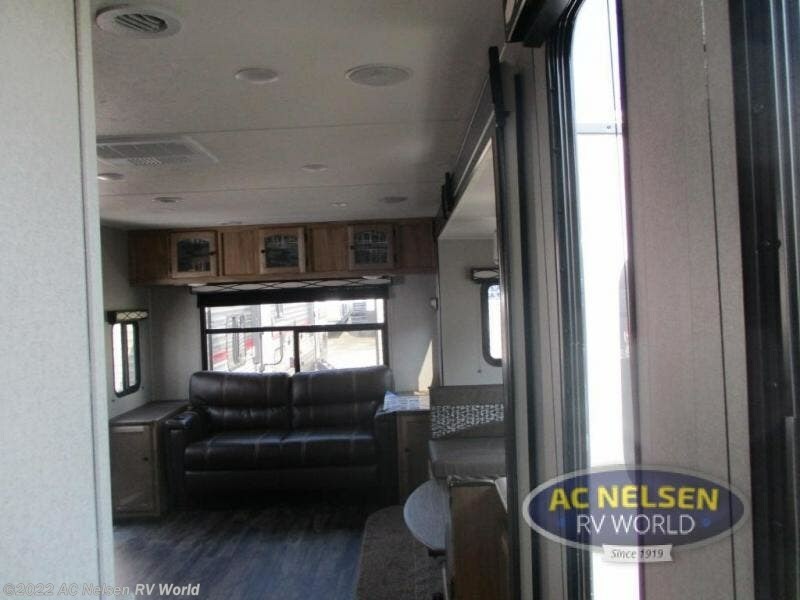 The living area is a great area for visiting with other campers while relaxing on the furniture or making snacks for everyone. 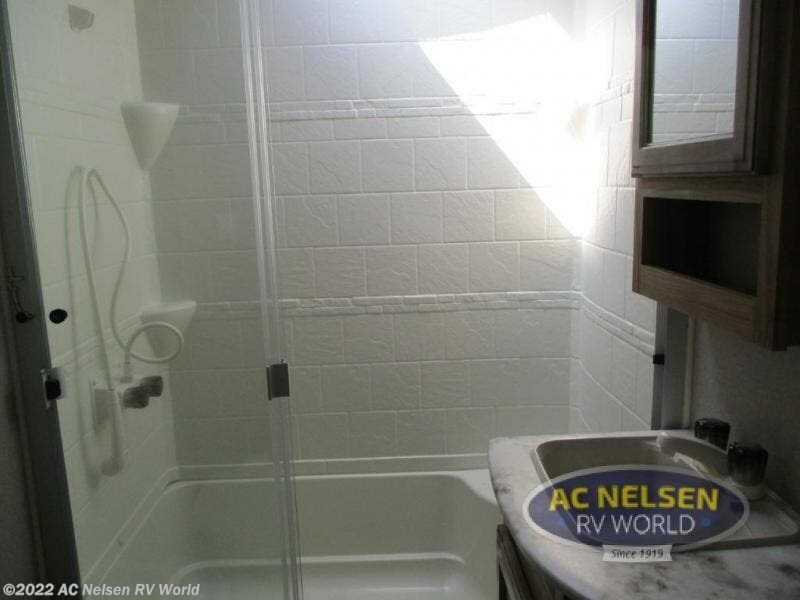 After hours of hiking outside, you will surely need to use the seat in the shower while getting cleaned up for bedtime. 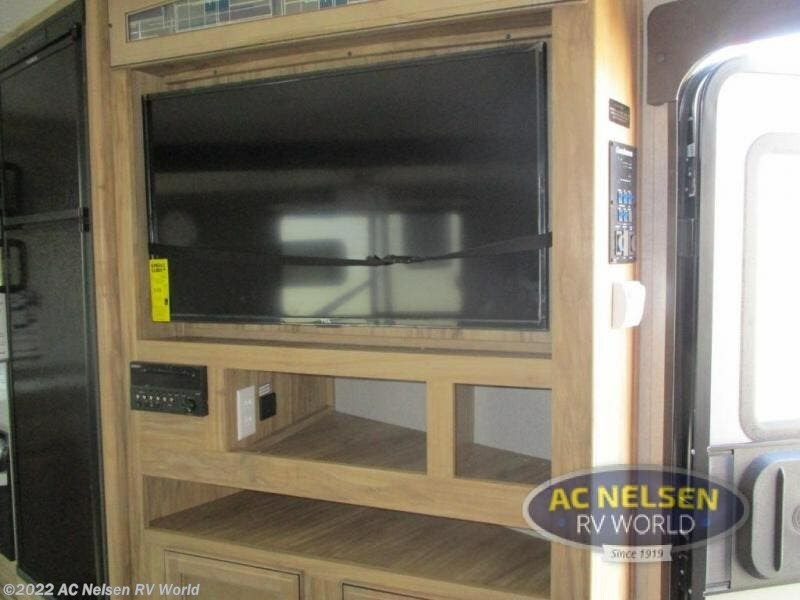 This unit is also satellite ready and includes multiple USB locations to keep your electronics charged. 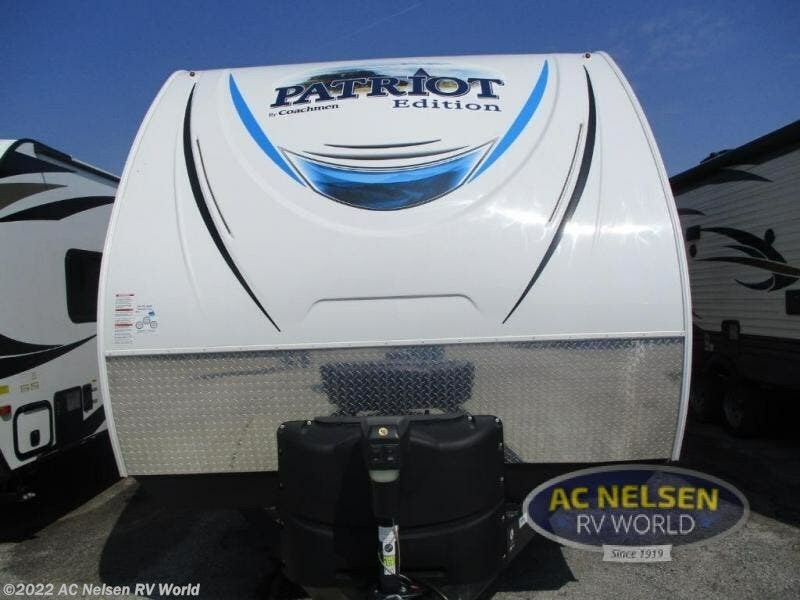 Don't worry about storage inside or outside thanks to the end tables, pantry, linen cabinet, wardrobes, exterior grill storage area, and pass-through compartment for your outdoor gear. 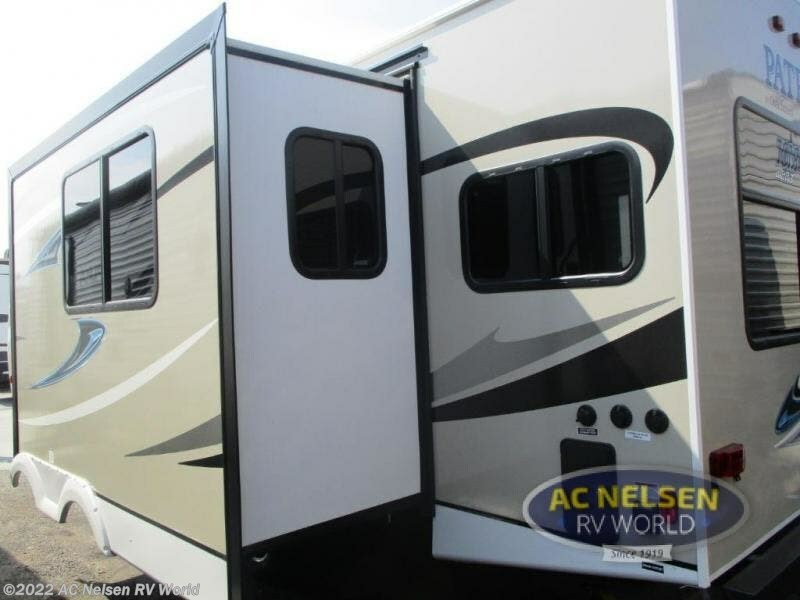 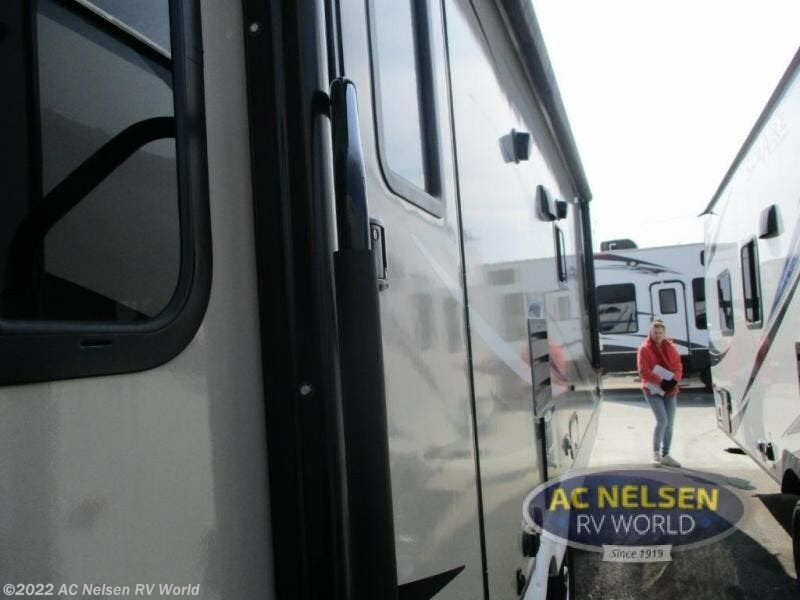 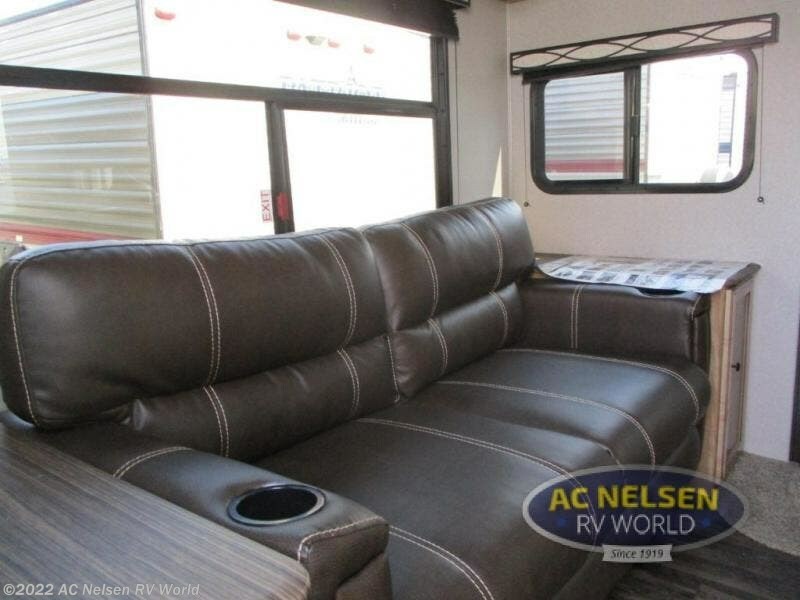 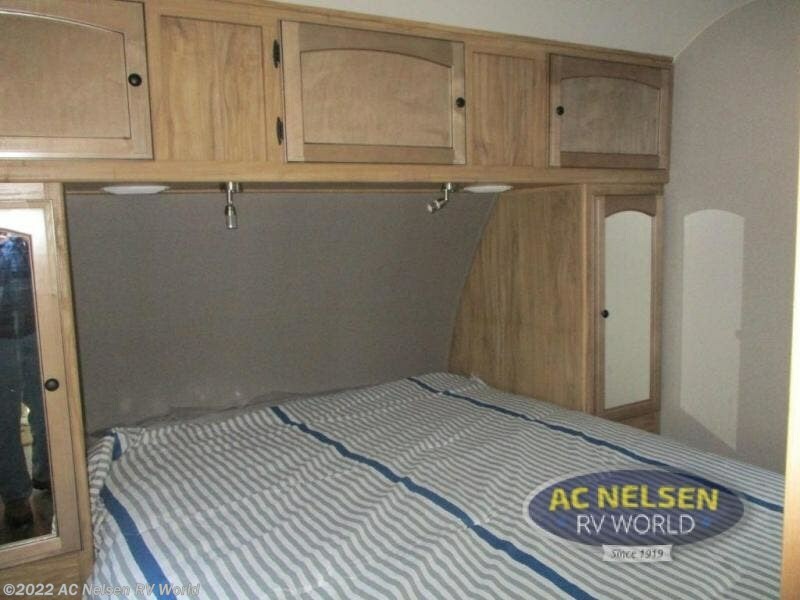 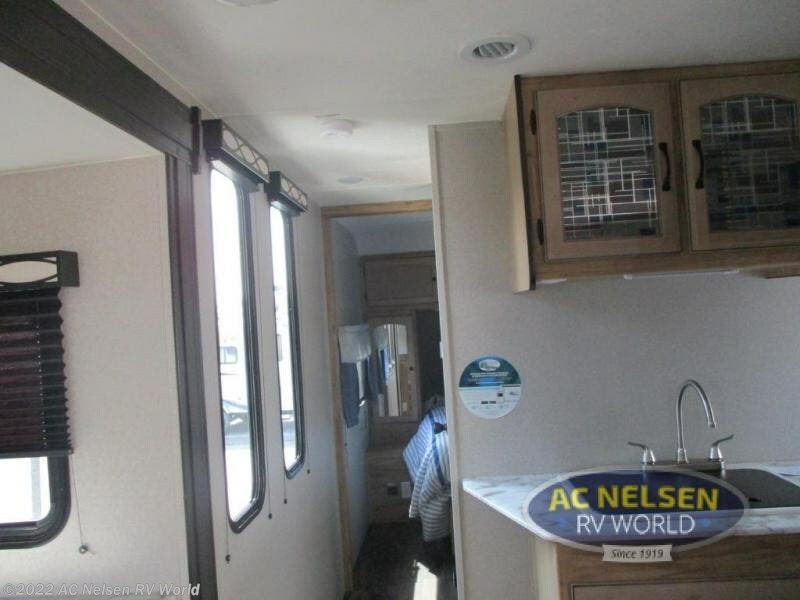 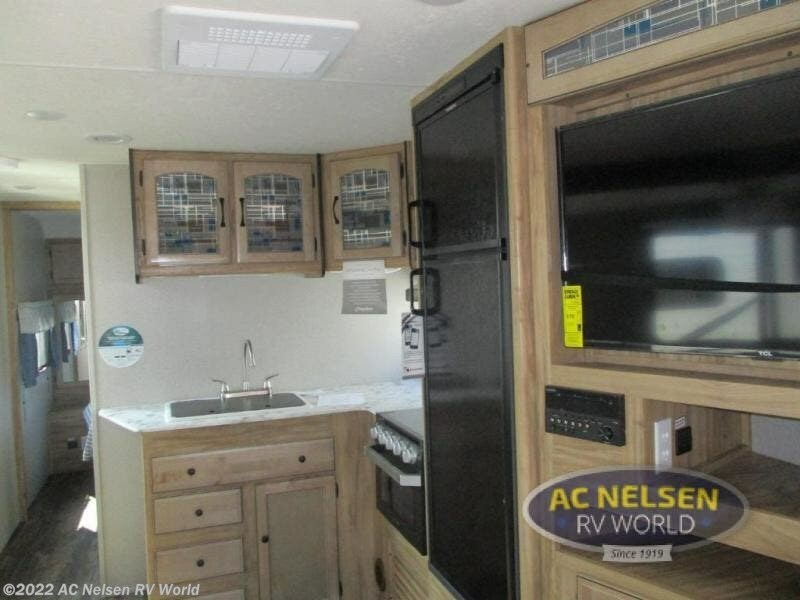 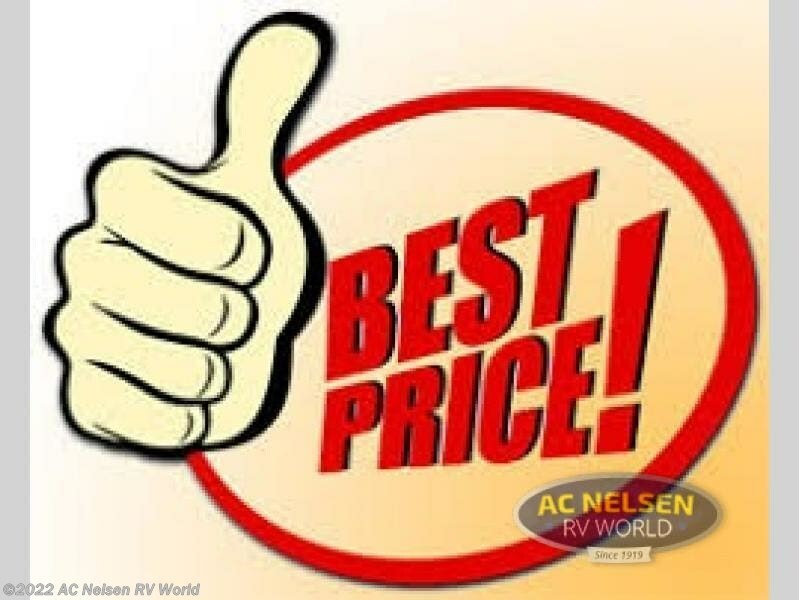 Check out Stock # 15593 - 2019 Coachmen Freedom Express Ultra Lite 279RLDS on coachmenrvsource.com!